The list of industries that qualify for incentives under the Promotion of Investments Act 1986 will be revised in order to attract high quality investments. A Critical Occupations List (COL) has been developed by the Critical Skills Gap Committee under the Industry Skills Committee (ISC) to address skills imbalances and job mismatch. The Technical and Vocational Education and Training (TVET) and higher education curriculum will be continuously revised. 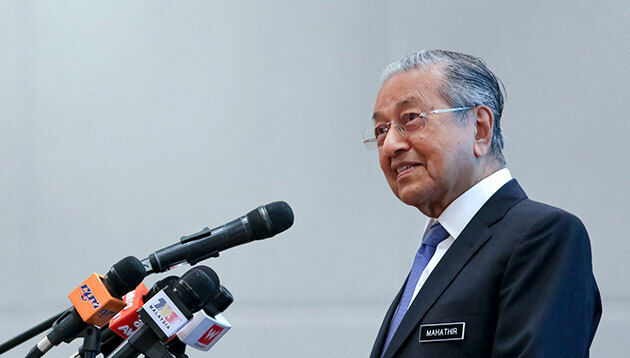 Effective from 1 January 2019, the monthly minimum wage will be standardised at RM1,050 nationwide. Enforcement will be enhanced to ensure compliance. The Government will launch the National Wage Index by 2019 as a guide and benchmark for employers in determining the right wage level for employees. The Human Resources Development Fund (HRDF) will expand the coverage of sectors to qualify for funding to enable more employees to be trained. As for the construction sector, the adoption of Industrialised Building System (IBS) will be further promoted with the intention to reduce the number of low-skilled foreign workers. A progressive multi-tiered levy system that is based on the proportion of foreign workers employed will be implemented to strictly reduce and regulate the number of foreign workers. The Employment Act 1955 will be amended to impose mandatory requirement for employers to credit salaries of foreign workers through the banking system. The functions of urban and rural transformation centres will be expanded as one-stop centres for job seekers, incorporating training, job matching, and advisory services. The Malaysian Bureau of Labour Statistics database will be strengthened, integrating data from various government agencies to facilitate evidence-based decision making and policy assessment. Several legislations will be reviewed, including the Employment Act 1955, Trade Union Act 1959 and Industrial Relations Act 1967. In the remaining Plan period, focus will be given to the efficient and effective implementation of EIS (Employee Insurance System) and improve fund management. The Employment Act 1955 and respective Labour Ordinances of Sabah and Sarawak allow the flexible working arrangements, and this will be further encouraged in private and public sectors. The Employment Act 1955 will be amended to increase the minimum maternity leave from 60 to 90 days in the private sector to further support working mothers. Regulations on childcare facilities will be reviewed to better facilitate employers to establish childcare centres at the workplace or within the vicinity of the workplace. All Government agencies will be required to provide childcare facilities, beginning January 2019. Continuing efforts will be made towards the target of at least 30% participation of women in the board of directors of SOEs, statutory bodies and public listed companies by 2020. The National STEM Centre will develop the latest teaching and learning methods to train teachers to become STEM specialists. In addition, English language mastery and teaching skills among teachers will be intensified. More schools will be encouraged to implement the Dual Language Programme (DLP) through the teaching of mathematics and science subjects in English. A comprehensive framework for higher education, namely Framing Malaysian Higher Education 4.0: Future-Proof Talents has been introduced. A performance-based funding mechanism anchored on outcomes, national priorities and innovation will be introduced for universities. Public TVET institutions will continuously review existing programmes by eliminating low impact programmes, focusing on high employability programmes and specialising in niche areas. Centres of excellence will be established whereby industry players will share equipment, consumables and other facilities as well as jointly develop customised training programmes. The harmonised accreditation system and quality assurance will be implemented through the adoption of the Code of Practice for TVET Programme Accreditation. Impactful promotional activities will be intensified to increase the attractiveness of technical and vocational related jobs especially among young Malaysians. The industry will be involved in student recruitment and job placement to secure employment for graduates. The number of MTUN bachelor’s degree programmes in engineering technology will be increased from 50% to 75% by 2020, providing greater opportunities for TVET diploma graduates. About 400 dilapidated schools in rural areas mainly in Sabah and Sarawak have been identified to be repaired or upgraded in the remaining Plan period. Intervention programmes will be carried out to bring dropouts back to schools. In addition, students who are at risk of dropping out will also be identified for retention programmes. The Government will assess the adequacy of existing facilities to enable students with special education needs to receive appropriate education based on the learning needs. Public TVET institutions will be encouraged to actively engage industry in the implementation of modular courses and flexible training programmes through contestable funds and matching grants. The National Dual Training System will be expanded to more public TVET institutions in driving greater collaboration with the industry. The Government will continue to encourage the industry to provide more apprenticeship programmes for TVET students, towards producing industry-ready TVET graduates. The TVET Graduate Tracer Study System will be utilised to capture, among others, data on graduate employability, salary trends and occupational preferences. A target of 85% graduate employability will be set to measure the quality and performance of public TVET institutions in producing skilled graduates. The ISC and state skills development centres will identify relevant and highly demanded competencies through continuous collaboration with the industry. The Industrial Attachment Training programme introduced in 2017 for TVET instructors will be expanded to create a larger pool of dynamic instructors with industry exposure. Industry-academia collaborations will be pursued, especially in enhancing graduate employability, research and development, community outreach and financial sustainability of universities. The Future Workers Training scheme under the HRDF will be expanded to promote pre-employment training, focusing on emerging technologies related to the 4IR. The Government will foster greater collaboration with the private sector, including social enterprises and civil society in line with national objectives and priorities through CSR. Participation of parent-teacher association and school alumni will enhance the effectiveness of school programmes in terms of funding, volunteer work and engaging experts. The Trust School programme will also be adapted in public schools through the Transformasi Sekolah 2025 (TS25) programme. The Government aims to expand the TS25 programme to 1,000 schools by 2020 and all schools by 2025. A new surveillance device is able to record employees’ movement around the office, track how long they spend chatting with colleag..